The season finale of CBS’s political drama ‘Madam Secretary’ recently aired, closing with Secretary of State Elizabeth McCord (Téa Leoni) revealing her plans to run for president to her husband Henry (Tim Daly). VFX Legion followed up the cliffhanger with the release of a breakdown reel that takes a behind-the-scenes look at the making of some of the most complex and exacting photorealistic computer-generated environments created by the Los Angeles-based studio for the show’s fourth season. Set in D.C., the capital’s iconic landmarks, monuments, and buildings bring authenticity to the politically charged drama, which is no small feat for a series shot in New York City. 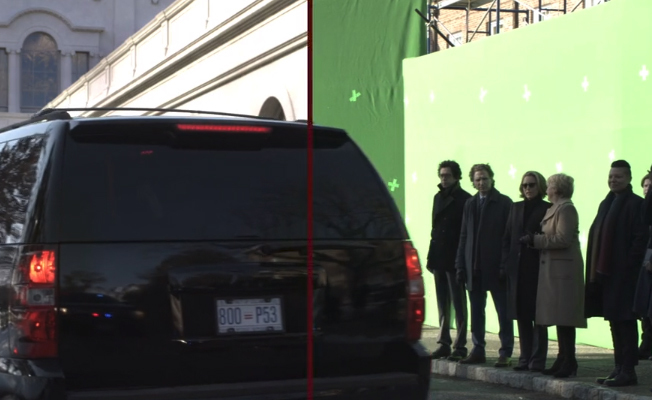 This season, ‘Madam Secretary’ brought VFX Legion onboard to help keep things real, while streamlining the production. Its team’s experience and technical ingenuity were tapped to create large-scale set extensions and meticulously detailed CG environments that stood in for a number of practical location shots without sacrificing the accuracy of the acclaimed series. The seeds for the show’s collaborative relationship with Legion were planted last spring when VFX executive producer Reid Burns screened its reel for Tony Palermo, a producer on the series. Clips of precise digital replicas of D.C.’s monuments, the White House, historic landmarks and mega-sized set extensions got Palermo’s attention. A few months later the studio was brought onboard to produce challenging computer-generated environments, indistinguishable from footage filmed on location. VFX Legion’s first task was to create a CG replication of the White House for a large greenscreen set up. Helmed by founder, creative director, and senior visual effects supervisor, James David Hattin, its artists met the challenge, as well as the show’s tight deadline, and went on to create a variety of true to life CG shots from the ground up. Legion’s library enabled the company to expedite the production of many the effects by building on existing assets. For more information on the studio visit http://VFXlegion.com.